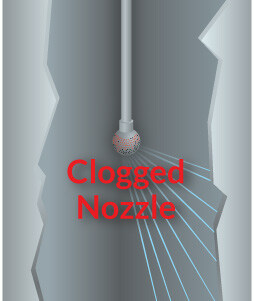 Seeds, skins, pulp, stems, and grains in a recirculated water system can cause blockage in many tank washing nozzle designs, inhibiting their ability to work correctly. 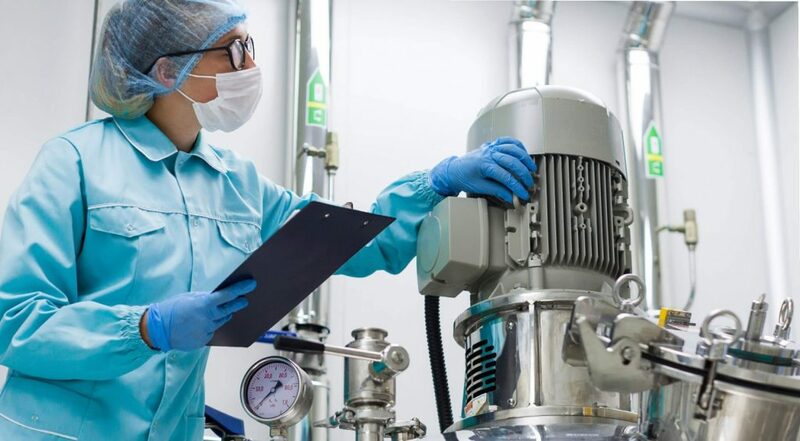 Cleaning tanks and maintaining a sanitary environment is essential to success in food processing and beverage industries. Problems within these systems lead to loss of time, money, and resources – an unacceptable situation. 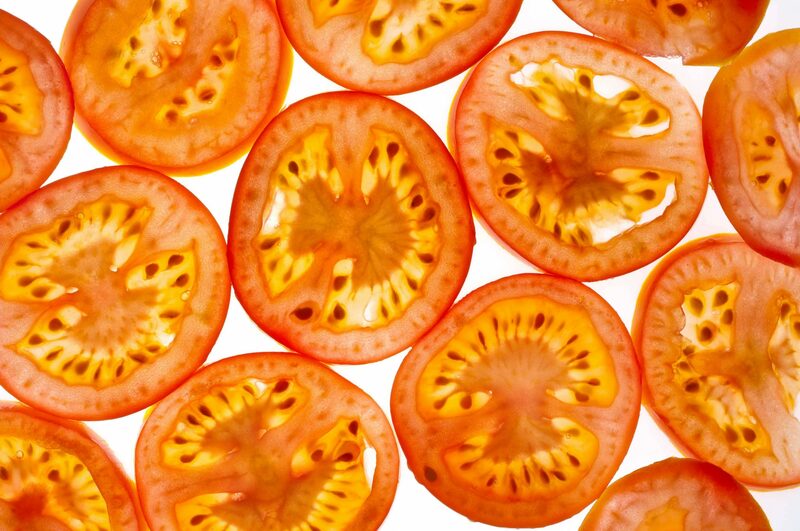 A tomato processing plant system designer contacted BETE to help troubleshoot issues with their tank washing system. After installing six total competitor disc cleaning nozzles into two tanks, 100” diameter by 80” high, they observed clogging caused by seeds and skins that were in their recirculated water system. Displeased with constant blockage and too much time wasted on nozzle maintenance, they worked with BETE Applications Engineers to solve the problem and improve efficiencies in keeping their tomato processing tanks clean. The systems designer had done their research and wanted more information as to whether the innovative HydroClaw® was the right solution for their tank washing requirements. After assessing the dimensions of their vessels, BETE engineers recommended six HydroClaw® 100 nozzles, three for each tank. The ¼” free passage makes them an ideal solution for flushing through tomato seeds and skins with the recirculated water. The low-maintenance HydroClaw® self-flushes as it cleans tanks without any rotating parts or gears to jam up. After testing the six new HydroClaw® 100s in their tank washing system, the tomato processing plant circled back to BETE to express their enthusiasm. Pleased with the performance of the HydroClaw®, they requested a quote for twenty-three more nozzles to improve tank washing efficiencies at their other locations. The HydroClaw® was explicitly designed to offer a tank washing innovation for wineries – allowing grape seeds and skins to pass through the nozzle. This design feature makes it the perfect nozzle for food processing applications. Whether used in a tomato processing factory or any other food processing plant, the HydroClaw® saves time and money with tanks glistening and ready for the next cycle. Why Choose BETE for Your Food Industry Nozzle Needs? 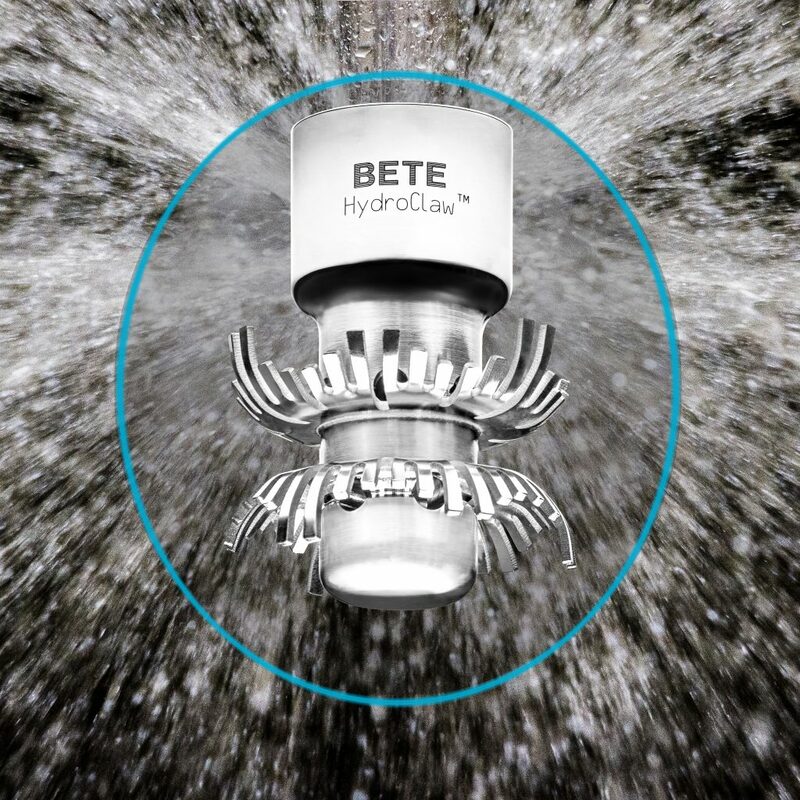 With BETE you get our world-class customer support from a nozzle industry pioneer who has been creatively solving problems for over 65 years.